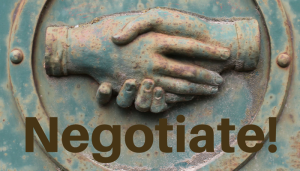 Do this, enter the word “Negotiate” into Google, then click on images. Most of what comes up are images of handshakes. In other words, this is what negotiation leads to – a deal that you seal with a handshake, or as we like to call it in the Meetings biz, a contract. Strike a balance: Don’t be too aggressive, and alternately, don’t be wishy-washy. The balance is found in being clear on what it is you want, willing to bend a bit to create a win-win and not allowing anyone to walk all over you. Ask for help: If you feel like the conversation is circling and circling and never landing, just ask for help. Rather than continuing to struggle through say, “Help me out here.” This is often all that is needed to move the conversation forward. Answer with a question: If you’re asked a question you do not wish to answer, toss the same question back to them and see how they answer it. This may help you discover new opportunities. Want, do, want, do: If the other party makes one demand after another and you keep meeting those demands, you will become exhausted and feel as if they are taking advantage of you. Sometimes you need to simply ask the reason for this demand – you may find out that it has already been met or that they read it somewhere or heard it somewhere and think they are doing their due diligence by making the demand. Sometimes you need to simply not meet their demands, as they are unnecessary to the health of the deal. Goodbye: Always be willing to walk away. 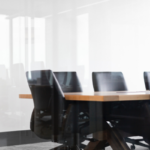 The last thing you need is a lopsided deal that ends up depleting you of energy, peace of mind and potentially, an expensive cost to your organization. Partner Up: Don’t go it alone! Why would you when you have a valuable, resourceful, willing to do the best for you negotiator right at your fingertips? For your next meeting contact me, Jill Stone, and let me negotiate on your behalf. Not only am I well versed in the art of negotiation, but I am a representative of HelmsBriscoe, an organization that purchases more room nights than any other. As a result I have great contacts in the industry, resources from around the globe and fabulous negotiating power. 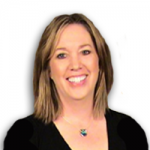 Let me put my negotiating power to work for you, Meeting Planner!